J E Moody & Company LLC (JEM) is a registered Commodity Trading Advisor (CTA) located in Portland, Oregon. The firm was founded in 2001 by John Moody, a former professor of computer science and a physics PhD. JEM brings scientific rigor and deep understanding of the markets to its unique quantitative investment strategies. JEM won the 2018 HFM US Performance Award^ for Best Quantitative Strategy under $1B, and was short-listed in three other categories: Best Commodity Fund and Managed Futures (2 nominations). JEM was also ranked among the best-in-class CTA programs globally by RCM Alternatives* for 2013-2016 and 2018 (including three 2018 Top 5 Recommendations categories), listed in CTA Intelligence Magazine’s Top 50 CTAs (ranked by AUM) in 2013 and 2014, and was nominated for Managed Futures Pinnacle Awards in 2012 and 2013. 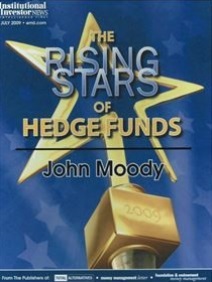 Portfolio Manager John Moody was named a Rising Star of Hedge Funds at the 2009 Hedge Fund Industry Awards+. Media coverage has included feature articles in the Financial Times, Institutional Investor's Alpha, Advanced Trading, Bloomberg Markets, and U.S. News & World Report. ^HFM US Hedge Fund Performance Awards in these categories are open to USA- or Canada-based funds with over $25M AUM and a 3+ year track record. Panels of investors and consultants select winners based on risk-adjusted performance, AUM and knowledge of the fund. *RCM Alternatives (formerly Attain Capital) & the Pinnacle Awards do not disclose their full selection methodologies, but these are believed to include risk and return factors over specified periods of time. 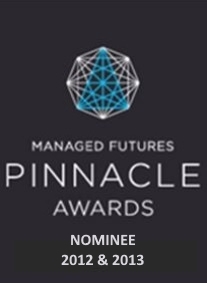 Pinnacle Awards draw from those managers represented in the BarclayHedge database; Attain Capital/RCM Alternatives draws from investable BarclayHedge-reporting managers with at least a 36 month track record. +Rising Star awards are based on industry nominations and recipients are selected by Institutional Investor.